With the new year just around the bend, there’s no better time to start tending to your credit profile. There are a lot of companies out there claiming they can raise your credit score. 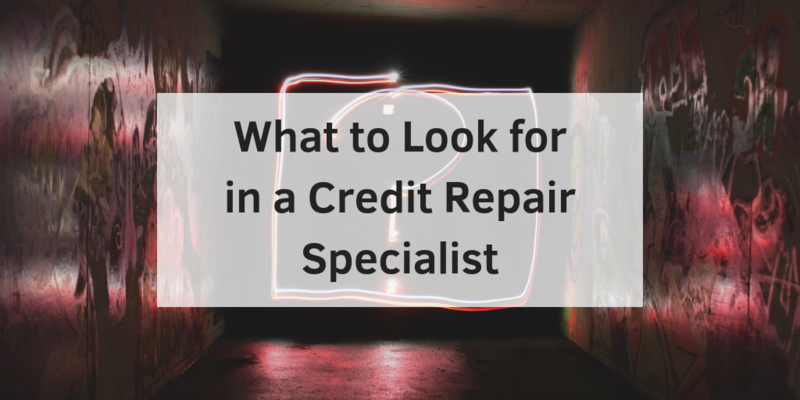 However, there are a few things to consider before reaching out to just any credit repair specialist. What Are Some Benefits Of Hiring A Credit Repair Specialist? Cleaning up your credit can leave you with a clean slate. This will save you money, lower your interest rates and improve your acceptance rates for future credit. 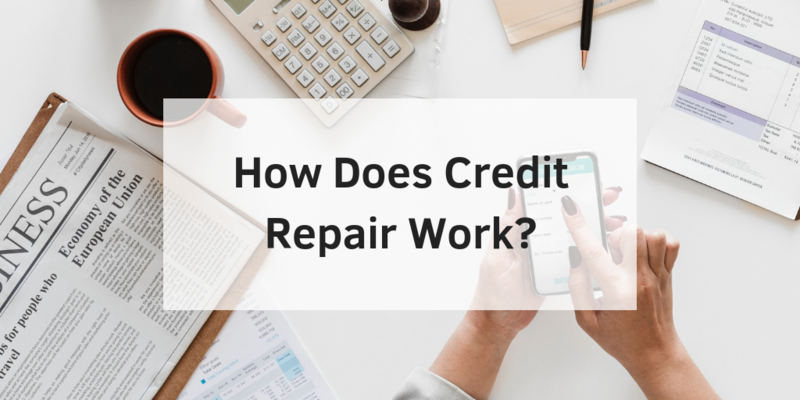 Not all credit repair is created equal. With some companies, you will begin to see your score climb the charts within a couple of months. Often, this improvement continues. However, some consumers don’t have such good luck. That’s why it’s nice to know what to look for before delving in. 1. Don’t Just Wait And See What Happens. Almost anyone who is seeking credit repair would prefer to see results fast. Legit agencies are able to provide you with a time frame for seeing results, based on the tier of the plan you choose. The time lapse should also depend on the level of damage your credit may have incurred. Results can be seen within a few weeks to a year. If you must wait and see, then it’s better to choose another agency. 2. They Should Be Prepared To Work With An Attorney If Necessary. Credit repair can usually be completed without the help of an attorney. However, that’s not to say the agency shouldn’t know when to use one. For example, there are many cases in which creditors, collection agencies and even credit bureaus break the law. It may be in the form of wrongfully attaining personal information, breach of contract or something else. In such cases, an attorney should become involved, and it can make things much smoother, as opposed to dealing with legal issues on your own. 3. Seek References And Testimonials. It’s true that each consumer experience is unique. Therefore, reviews are bound to be varied. However, when reading online reviews, there may be red flags you shouldn’t ignore. For instance, if you notice reviews from customers who waited a long time only to have little or no results, feel free to ask the specialist to explain. You can also ask for real references who have used the company’s services. If the company hasn’t responded to others or is unable to provide you with logical explanations, then keep searching. 4. There Should Be A Custom Process. No two customers have the same credit profile. Therefore, the repair process should not be one-size-fits-all. If the agency isn’t able to provide you with a strategic plan for you, then chances are it’s not an effective company. 5. Weed Out Companies Who Have A Delay Incentive. You’ll notice that many credit repair providers require a monthly plan. This locks you in for the long-term and doesn’t insure results in a minimal amount of time. It’s best to work with a company with fixed price plans. This means they offer you one price that isn’t subject to increase during the process. It also means there’s no lingering, and you pay exactly what was projected. 6. Ask About A Money Back Guarantee. It’s not common to find a company offering this type of guarantee. However, you should seek one who does if quality is your goal. If you haven’t achieved the projected results within the allotted time frame, they should be willing to work with you. This should involve issuing a refund or working with you further to achieve results. 7. Question Companies Who Offer A Definite Score. You’ll run across aggressive and optimistic salesmen who may offer you a definite credit score. Consumers should know that it is illegal to state a specific score. Choose a company that will offer you a score range instead. 8. Ask About Your Involvement. If a specialist claims to be able to achieve your credit repair goals without you, then there’s a need for concern. You are required to respond to requests and give consent throughout the process. Searching for the right credit repair specialist can be a daunting process. Using the above tips, you can rest assured that you’ll find a company that’s reputable and effective.